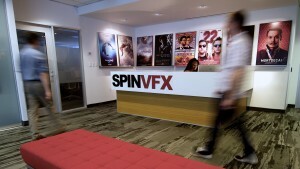 For the 2018 Toronto International Film Festival (TIFF), SPINVFX was part of rolling out the red carpet for the hundreds of visitors that arrived in the city for the festivities. The world-renowned festival attracts the biggest names in the film and television business, as well as thousands of fans who vie to be first in line to see the movies and meet the stars. In addition to a packed screening schedule, TIFF also includes extensive event programming, with functions such as discussion panels, live shows, and exclusive parties. This year, SPINVFX was proud to be one of the sponsors and hosts of xoTO House, a lounge hosted by the City of Toronto in partnership with several film and TV industry leaders in the heart of the TIFF district on ‘Festival Street’. SPINVFX joined the opening night festivities with Toronto Mayor John Tory, and City of Toronto Economic Development & Culture General Manager, Mike Williams on the first night of TIFF. Toronto Film, TV & Digital Media Board Co-Chair, Councillor Paula Fletcher, also appeared at the lounge on the following evenings, keeping the energy high and demonstrating the City’s ongoing support for the festival. xoTO House served as an epicentre for industry leaders and government representatives, all of whom enjoyed the dedicated space for meeting colleagues and friends, connecting filmmakers, and, of course, having an unforgettable party. The xoTO House is one of the many ways that the Toronto Film Office works to support our screen-based industry in the City. SPINVFX was also the host of a TIFF Industry Happy Hour on the first Saturday of the festival. In partnership with TIFF, SPINVFX was joined by over 200 guests at Toronto’s CBC Building for some good food and drinks, and great conversation. Attendees were also encouraged to visit the SPINVR booth, where they were able to enter virtual reality in the middle of the party to play a mind-bending game in BRIOVR. Before leaving the event, guests were charmed with a red rose from SPINVFX President, Neishaw Ali. With the close of another successful TIFF, Toronto has again proven itself to be a cultural destination. As a member of the Toronto film and television community, SPINVFX is proud to host the world in our esteemed city, and to be a part of our boundless, creative community.